Your muscles’ primary source of energy is adenosine triphosphate (ATP). As you train, your ATP levels deplete, causing your muscles to fatigue. Each serving of CELL-TECH™ HYPER-BUILD™ delivers a scientifically studied 5g dose of creatine, which enhances your body’s ability to regenerate ATP, so your muscles keep firing on all cylinders. With better workouts come better results. 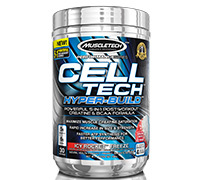 CELL-TECH HYPER-BUILD will saturate your muscles with creatine, so you can gain more muscle size and strength. 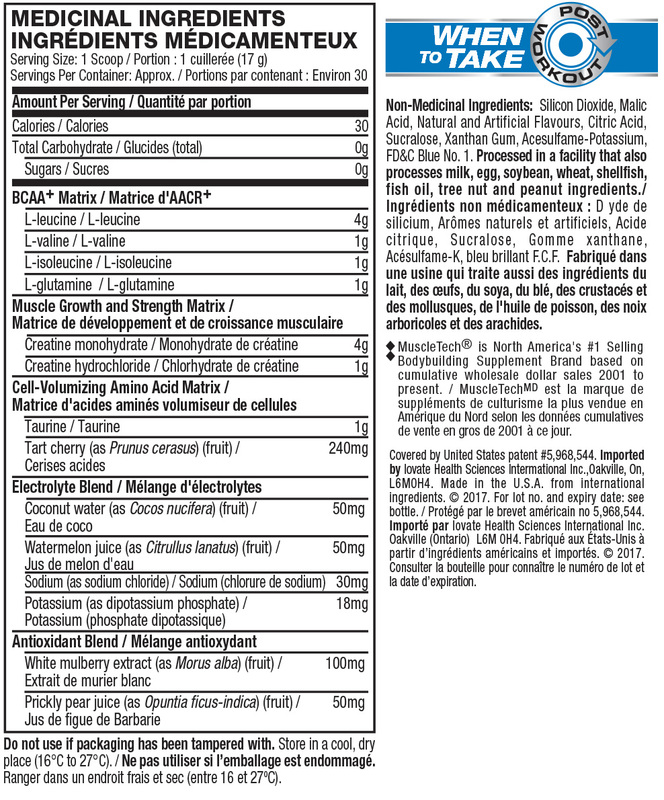 Every scoop of CELL-TECH HYPER-BUILD contains 6g of BCAAs in an optimized 4:1:1 ratio for maximum leucine delivery. Leucine is the most powerful of all amino acids at amplifying protein synthesis and keeping your body anabolic. In fact, the 4g dose found in CELL-TECH HYPER-BUILD has been scientifically shown to increase max strength by over 40% in just 12 weeks! Not only does CELL-TECH HYPER-BUILD deliver more BCAAs than any other creatine formula, it has more than most BCAA formulas too. Recommended Dose (Adults): Mix 1 serving (1 scoop) with 355mL of water and drink immediately after your workout once daily. Ensure to drink enough fluid before, during and after exercise. Read the entire label before use and follow directions provided. Use for a minimum of 4 weeks.